Background/Purpose: CHS-1420 is a proposed biosimilar to adalimumab. A phase 3, randomized, double-blind, multicenter study evaluated the equivalence of CHS-1420 to adalimumab in patients with moderate-severe plaque PsO, including patients with psoriatic arthritis (PsA). Methods: Male and female patients (aged ≥18 years) were randomized 1:1 to CHS-1420 or adalimumab (80 mg, then 40 mg every other week) for 16 weeks (Treatment Period 1). At Week 16, half the patients receiving adalimumab were switched to CHS-1420, and half continued adalimumab; all patients receiving CHS-1420 continued CHS-1420 for 8 weeks (Treatment Period 2). Results: 545 patients were randomized into the study. A total of 503 patients (92.3%) completed Treatment Period 2, including 250 patients in the CHS-1420/CHS-1420 group, 124 subjects in the switching group, and 129 subjects in the adalimumab/adalimumab group. Equivalence of CHS-1420 to adalimumab was established based on the primary endpoint (PASI75 at Week 12). A PASI75 at Week 24 was achieved by 84.6%, 81.6%, and 88.3% of patients in the CHS-1420/CHS-1420, switching, and adalimumab/adalimumab groups, respectively, demonstrating maintenance of response. No statistically significant difference was found between treatment groups. For patients with PsA, the median change from baseline in HAQ-DI (ranging from 0-3) at Week 24 was -0.6, -0.4, and -0.8 in the CHS-1420/CHS-1420 group (n=60), switching group (n=30), and adalimumab/adalimumab group (n=26), respectively. The median change from baseline in hs-CRP (mg/L) at Week 24 was -2.8, -2.6, and -2.1 in the CHS-1420/CHS-1420, switching, and adalimumab/adalimumab groups, respectively. No statistically significant differences were found between treatment groups. Treatment-emergent adverse events (TEAE) were reported in 48.9% and 45% of patients in the CHS-1420 and adalimumab groups, respectively, through Week 16, and in 20.1%, 19.4% and 16.3% of patients in the CHS-1420/CHS-1420, switching, and adalimumab/adalimumab groups, respectively, during Weeks 17-24. Anti-drug antibodies were reported in 90.1% and 93.4 % in the CHS-1420 and adalimumab groups through Week 16, and in 4.0 %, 0.8% and 2.3% in the CHS-1420/CHS-1420, switching, and adalimumab/adalimumab groups during Weeks 17-24. Conclusion: This randomized, double-blind, global clinical trial demonstrated equivalence of CHS-1420 to adalimumab based on the primary endpoint (PASI75 at Week 12). Patients who switched from adalimumab to CHS-1420 at Week 16 had similar efficacy and safety results at Week 24 compared to patients who received only CHS-1420 or adalimumab. Results in patients with PsA were similar across treatment groups. Disclosure: J. Hodge, Coherus BioSciences, Inc., 1,Coherus BioSciences, Inc., 3; H. Tang, Coherus BioSciences, Inc., 1,Coherus BioSciences, Inc., 3; P. O'Connor, Coherus BioSciences, Inc., 1,Coherus BioSciences, Inc., 3; B. Finck, Coherus BioSciences, Inc., 1,Coherus BioSciences, Inc., 3. Hodge J, Tang H, O'Connor P, Finck B. Switching from Adalimumab to Chs-1420: A Randomized, Double-Blind Global Clinical Trial in Patients with Psoriasis and Psoriatic Arthritis [abstract]. Arthritis Rheumatol. 2017; 69 (suppl 10). 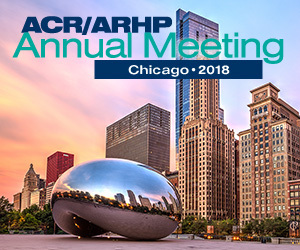 https://acrabstracts.org/abstract/switching-from-adalimumab-to-chs-1420-a-randomized-double-blind-global-clinical-trial-in-patients-with-psoriasis-and-psoriatic-arthritis/. Accessed April 18, 2019.